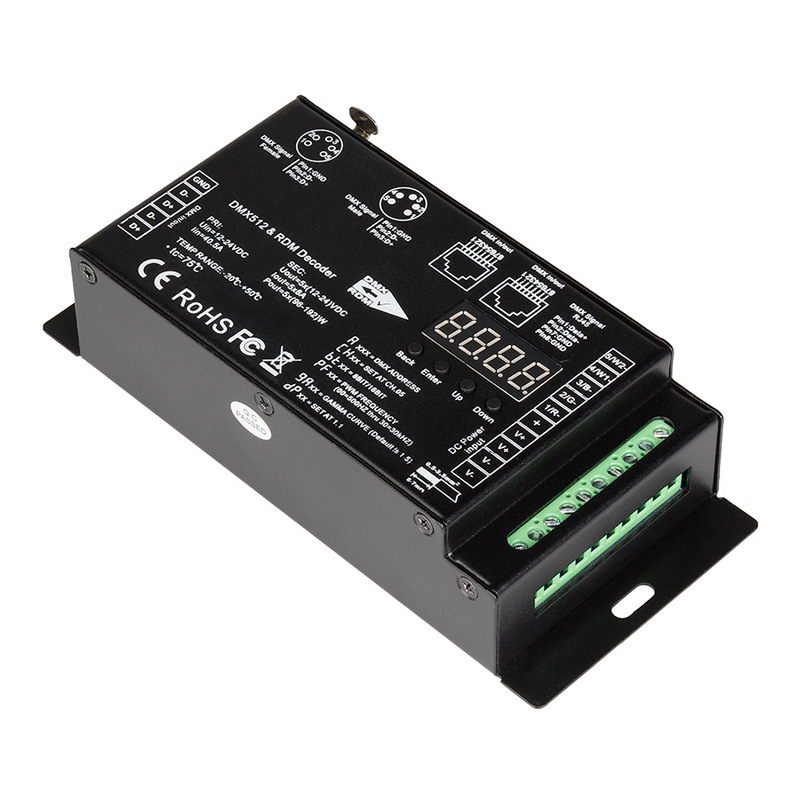 This DMX 512 decoder/RDM controller can control up to 5 different single-color 12-24 VDC LED products, 1 RGBW + CCT light strip, or any 1 RGB or RGBW LED light bar along with 1 or 2 additional single-color products. 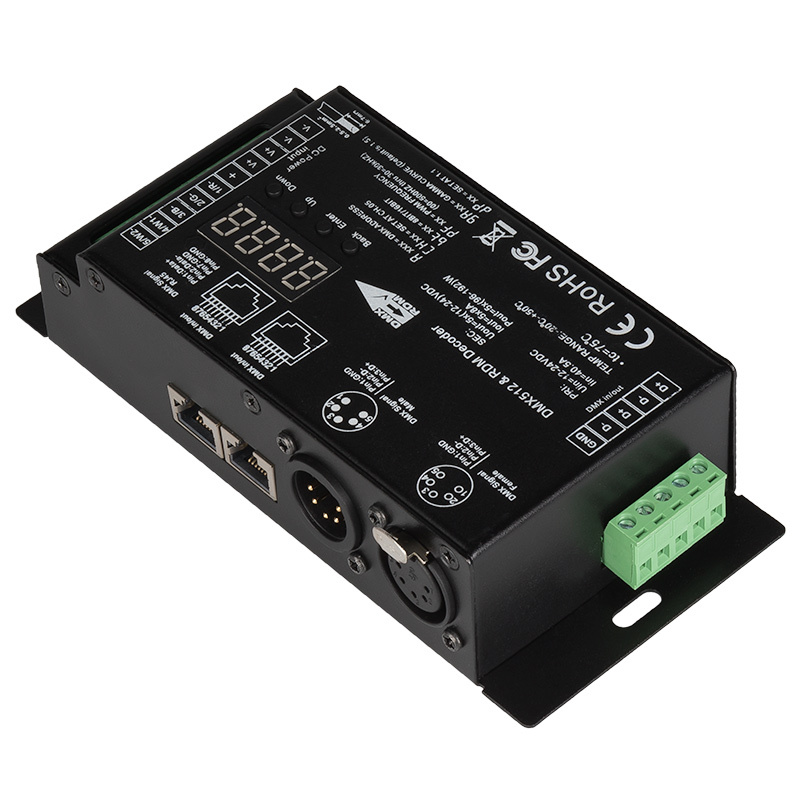 The decoder can run in stand-alone mode using address code buttons, under DMX512 digital control signals using XLR-5 or RJ45 DMX512 input/output interfaces, or in RDM mode using a device or computer with RDM software. 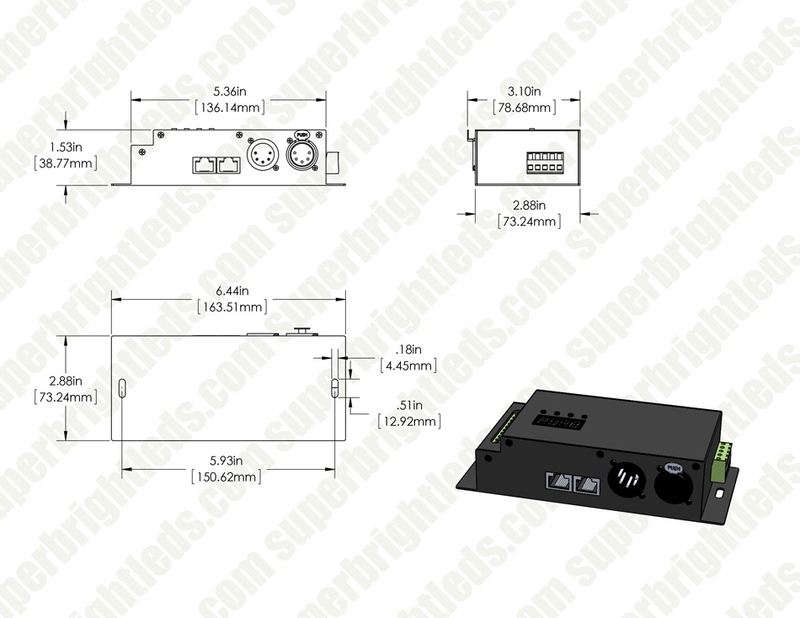 The DMX decoding driver converts universal DMX512/1990 digital signal to PWM signal, which can be controlled by DMX512 console with 8-bit or 16-bit gray scale output per channel. RDM mode allows 2-way communication between the controller and computer or smart devices. Meets RDM 2009 protocol. Maximum load is 8 amps per channel.